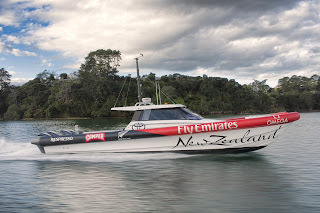 July saw the launching of Emirates Team New Zealand’s latest chase boat from the Salthouse Boatbuilders yard. The new chase boat is powered by four Yamaha F300B V6 four stroke engines. With the advent of the new America's Cup, the whole format of the race has changed. The competition has moved from traditional mono hull yachts to massive 72 foot (22m) catamarans. 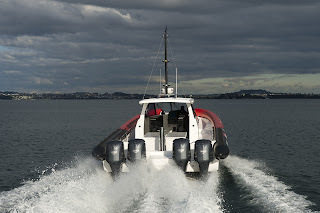 These catamarans are capable of achieving speeds of up to 40 knots. 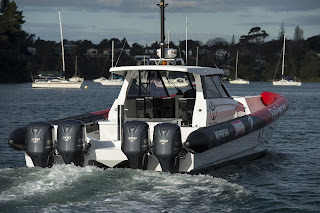 This new format provided some unique challenges and requirements when it came time to look for support craft, as previous boats used for this purpose would not be sufficient. 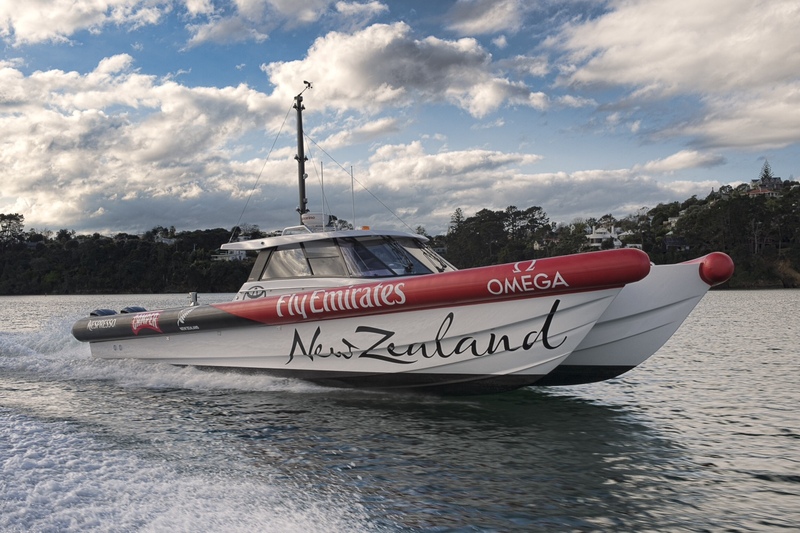 Emirates Team New Zealand approached the challenge head on by designing a totally new craft in house with input from Chris Salthouse, from Salthouse Boat Builders. The new 14m Cat that has resulted exceeds the required design speed of 50 Knots with an impressive top speed of 58 Knots (107km/h) – amazing performance for a boat of its size. 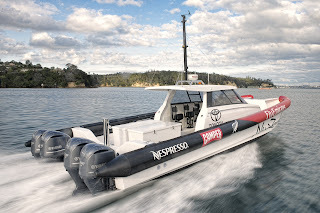 With limited days allowed for testing between now and January 2013 this Chase boat will need to be capable of being on the water and operational on these set days from dawn until dusk. That requires long range fuel efficiency - an area where the big Yamaha F300Bs excel. The reported fuel consumption of these engines at mid range cruise speeds is 100 Litres per hour at 30 Knots (56 Km/h). That’s only 25L/h per engine. 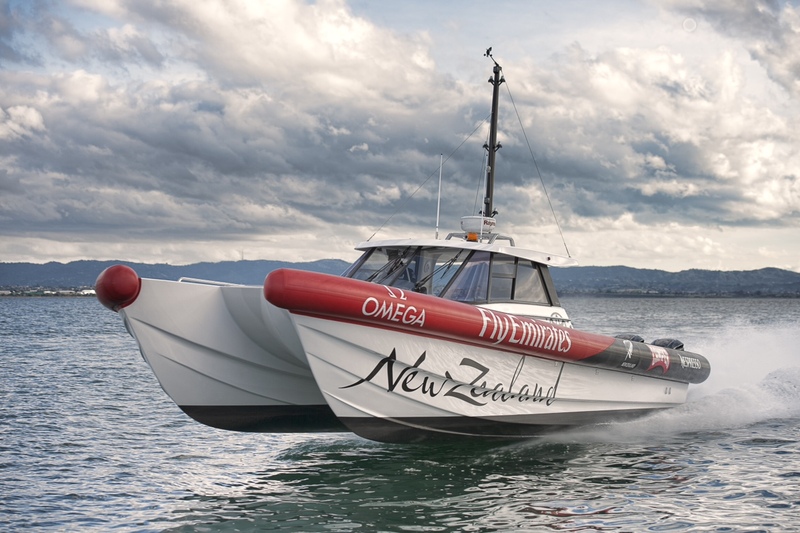 At this speed the boat has a range of 510 nautical miles (926 Km). 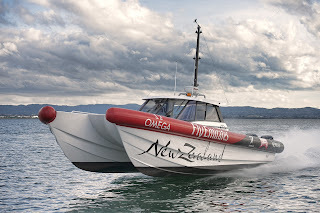 The boat is expected to carry a range of support crew during this important preparation period. 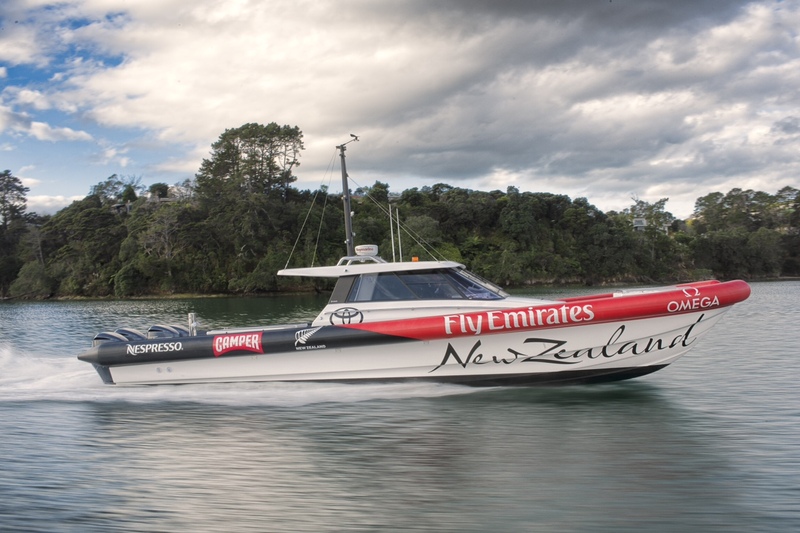 Among the staff onboard will be sailing coaches, boat builders, sail makers, riggers and on-board systems experts monitoring the finest details of boat and crew performance to get the most out of Emirates Team New Zealand. For added comfort for all on board, suspension seats have been added to smooth the ride in rough conditions, a feature that has been especially well appreciated by the crew. The success of this new chase boat design has not gone unnoticed and Salthouses are already in discussions for another 2 boats.